I’m always on the lookout for Rosies, and this article comes from West Virginia, featuring Dot May (read below). For women working on the home front during World War II it was more about getting a good job than it was about being patriotic… we were coming out of the Great Depression, and the men had gone to war. 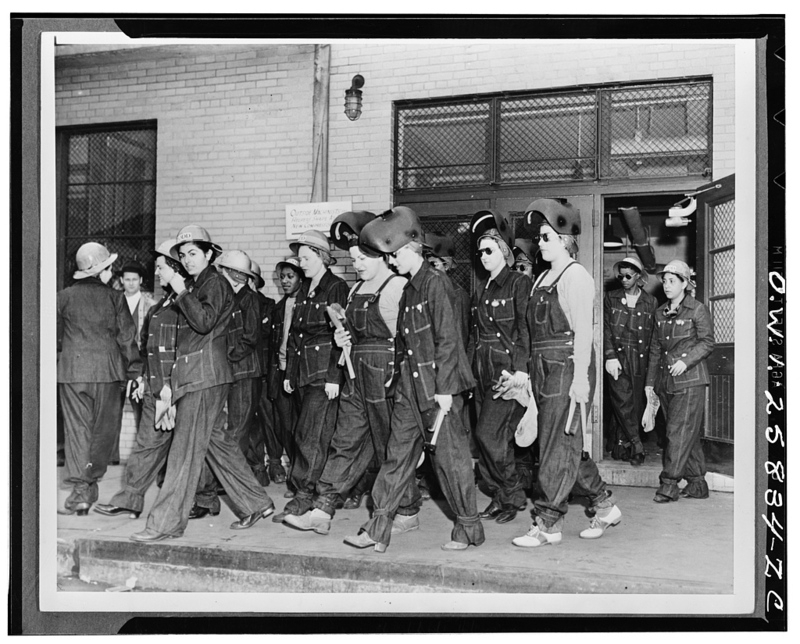 Most of the women who went to work for the “war effort” had been working all along. The war just offered opportunities for better jobs. SHEPHERDSTOWN – Dorothy “Dot” May, 94, says back in the days of World War II, helping with the war effort on the homefront was just something that many people did without talking too much about it. Now, she recognizes the fact that she served as a “Rosie the Riveter” and is proud to have contributed to the cause.